Are Carpet Cleaners Safe to Use Around Pets? What Precautions Should Be Observed When Discharging a CO2 Fire Extinguisher & Why Is This Necessary? 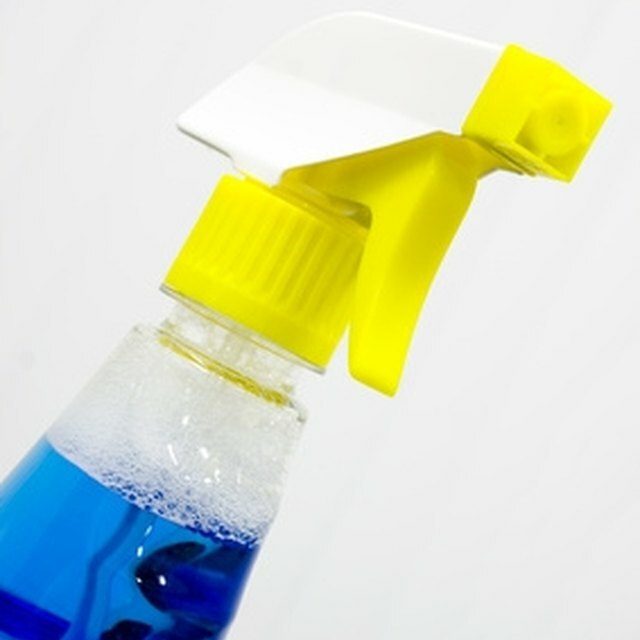 Many household products contain chemicals that are hazardous to health. The range of household products with dangerous chemicals is wide, and the extent to which they are toxic varies. While some household chemicals release their contaminants all at one time, others act more slowly. Symptoms of toxic exposure include dizziness, nausea, irritation in the respiratory tract, stinging in the eyes and skin, and both violent and mild allergic reactions. Fatalities can occur in serious cases. Proper labeling of household chemical products is required by the Federal Hazardous Substances Act. Products with 'Poison' on the label are the most hazardous. 'Poison' indicates that the product is very toxic and can cause serious injury if there is significant exposure; in extreme situations, when the product is ingested or inhaled in substantial quantities, death may occur. Insecticides and pesticides have the word 'Poison' on their labels. Some labels warn that the product should only be used in well-ventilated areas, meaning that the fumes are toxic and such products should never be used in a closed space. The product label ‘Danger’ means that the chemical is corrosive, highly toxic or flammable. The word ‘Danger’ can be found on the labels of cleaners, pesticides, polishes and paint strippers. The product is deemed dangerous because it can be poisonous, cause serious damage to one’s skin or eyes, or easily catch fire. 'Warning' on the label of a product means that the product is toxic, corrosive, reactive or flammable. Mishandling the product could make a person sick. Products in the 'Warning' category are harmful if swallowed and ingesting an ounce of the substance could kill an adult. Products with the warning label include cleaners and various polishes. A product that is toxic, corrosive, reactive or flammable can also be labeled 'Caution' This implies that not following directions could cause irritation in the skin or eyes, or cause allergic reactions. Products with the 'Caution' warning message are no less dangerous; for children, ingestion can still be very serious if proper medical attention is not available right away. Products with the word 'Caution' include paint and auto products. A product label ‘Flammable’ means the product burns easily. The most flammable products are auto products, paint, paint thinners and other solvents. A product is flammable if the manufacturer discourages smoking or being near heat or flame while using the product, or if it is combustible. Canned aerosol sprays are flammable. Corrosive products such as drain cleaners, oven cleaners and car batteries eat through materials. A product is corrosive if the label warns that it ‘can burn eyes, skin, and throat,’ or if it causes severe burns upon contact. Is Carpet Cleaning Safe for Children? Is Indoor Ant Killer Safe for Pets? What Is "Energy Star Compliant"?